Item # 319024 Stash Points: 3,800 (?) This is the number of points you get in The Zumiez Stash for purchasing this item. Stash points are redeemable for exclusive rewards only available to Zumiez Stash members. To redeem your points check out the rewards catalog on thestash.zumiez.com. Skate as buttery as Louie Lopez himself with his all-new Formula Four Especials Conical 52mm 99a Skateboard Wheels from Spitfire. The perfect blend of grip and sliding performance, this set of wheels come designed with Spitfire's unique Conical wheel shape that includes a polyurethane core for a true bearing seating and speed over all terrain. 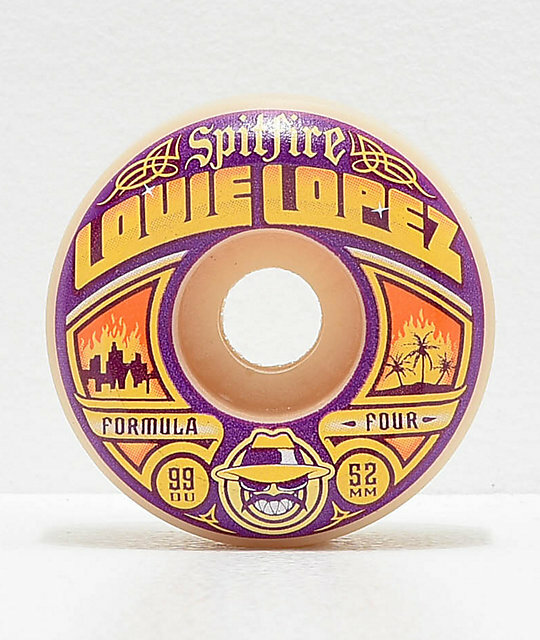 Formula Four Lopez Especials 52mm 99a Skateboard Wheels by Spitfire. 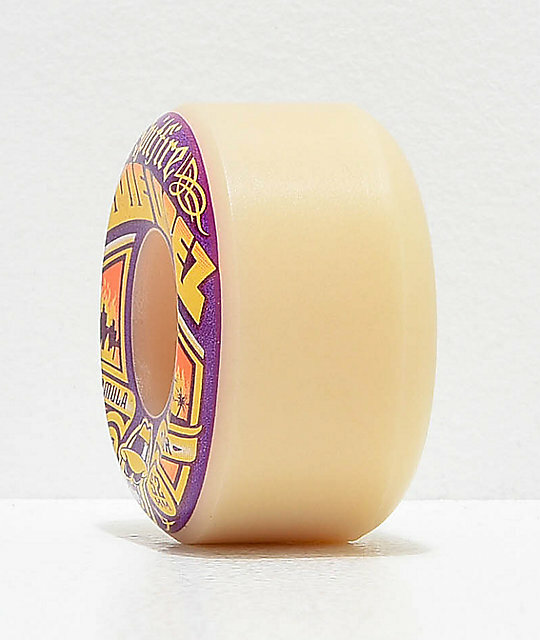 Signature Louie Lopez pro model wheels. Spitfire's Conical wheel shape and hard polyurethane core for a true bearing seating and speed over all terrain. 52mm sizing, 99 durometer hardness rating.